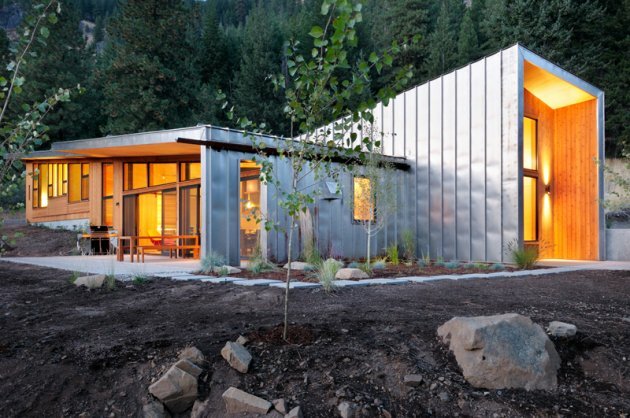 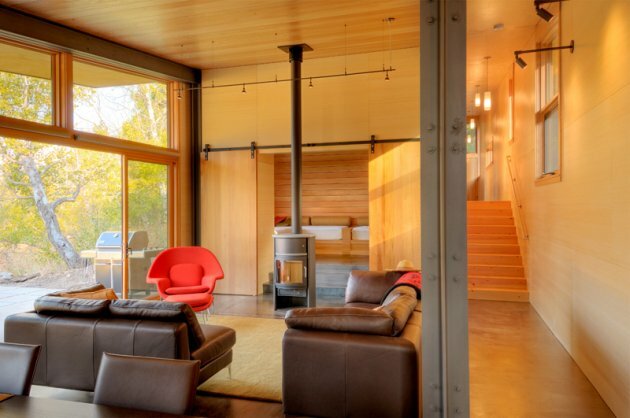 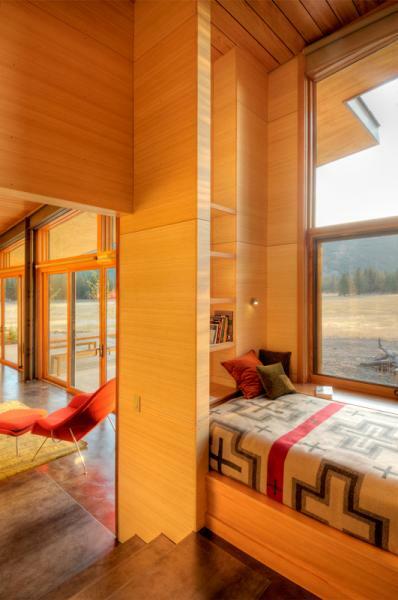 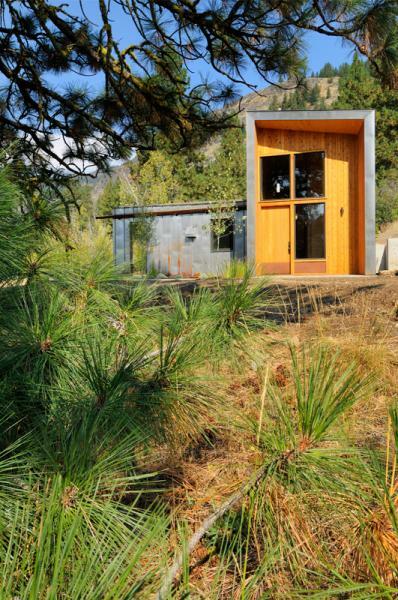 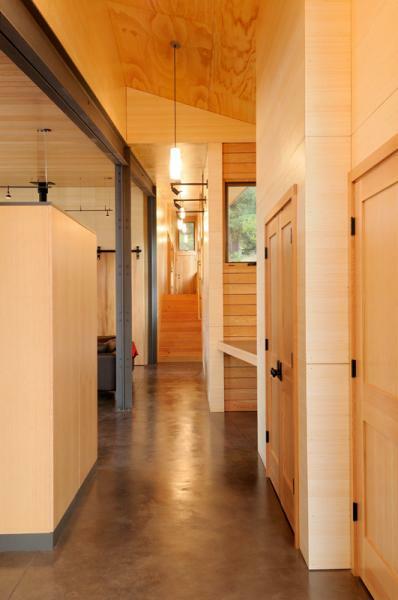 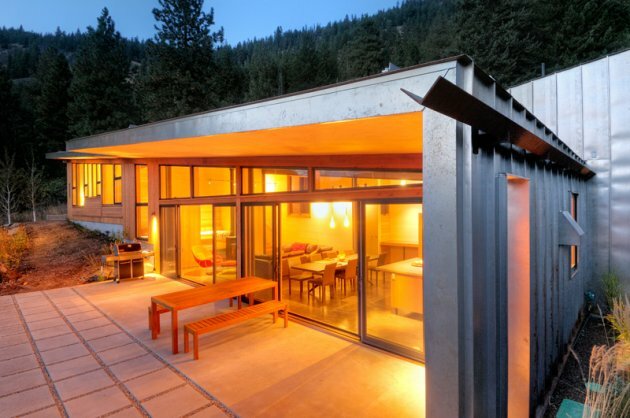 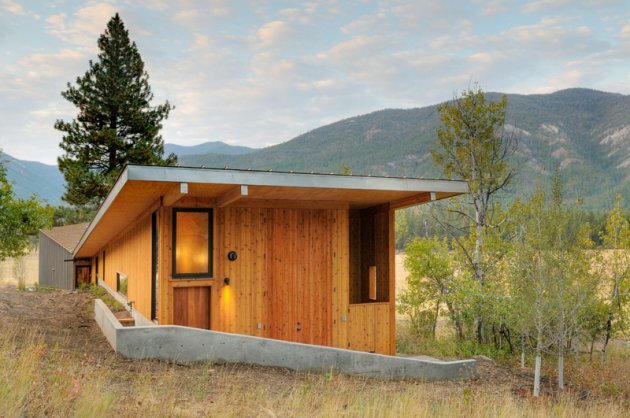 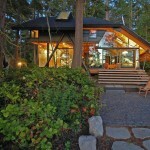 Johnston Architects designed this cabin located in the town of Mazama, Washington. 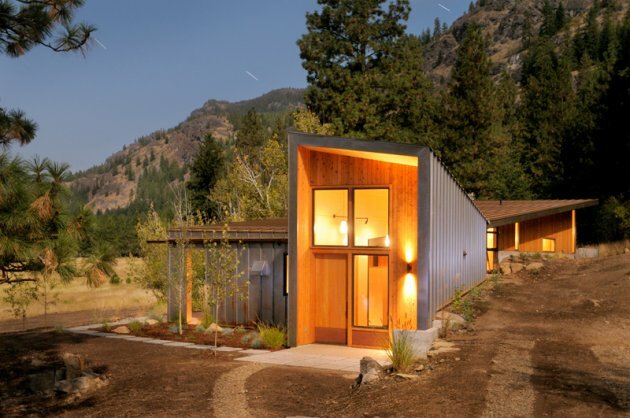 The building is nestled into a sloping hill on the east, minimizing its presence on the site and orienting its long side toward the meadow to the west. 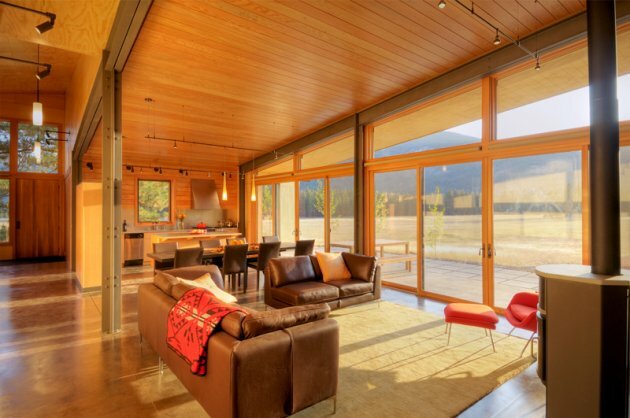 The floor plan of the main volume steps up incrementally to follow the existing topographic contours of the site. 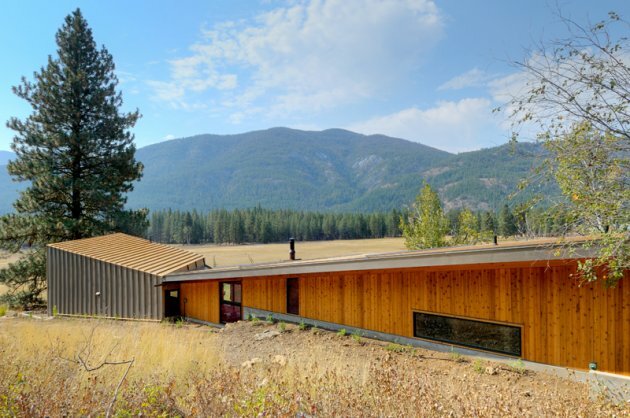 The roof echoes the natural grading of the land, appearing as if the ground plane has been lifted to create a discrete shelter beneath it. 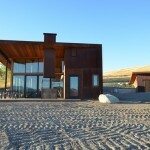 The materials and color palette are similar to other residences in the area, known as Chechaquo Ranch, and are also intended to pick up colors in the surrounding vegetation and hills. 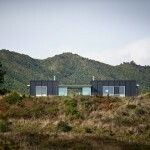 Visit the Johnston Architects website – here.